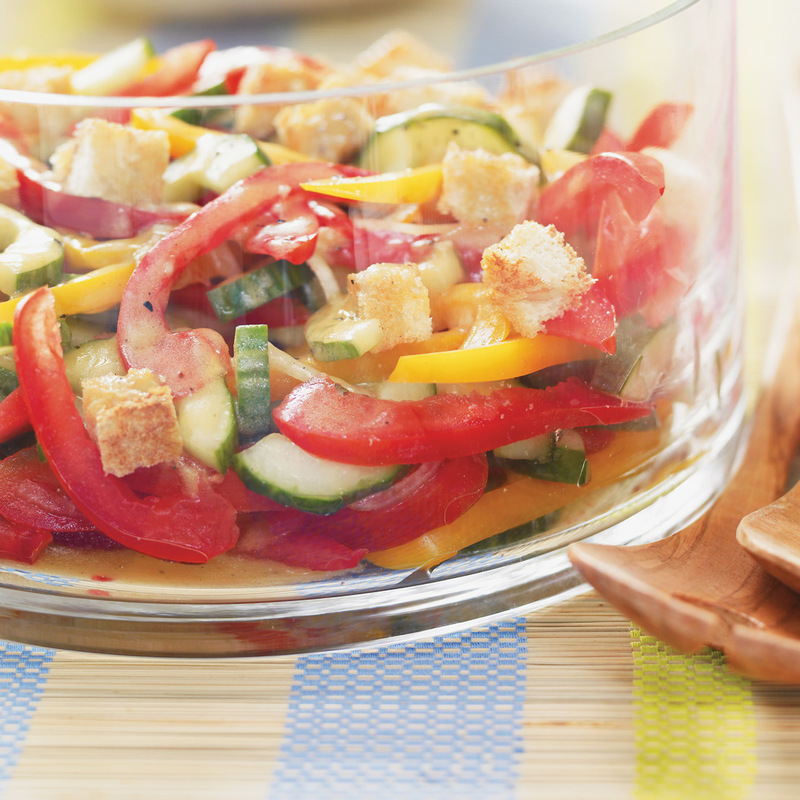 In a bowl, whisk together all the ingredients. Season with salt and pepper. Set aside. 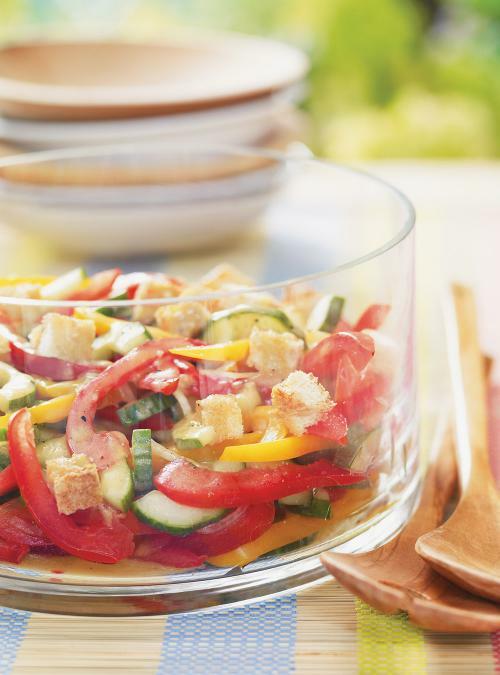 In a large bowl, toss all the ingredients except the croutons. Add the dressing. Adjust the seasoning. Add the croutons just before serving. Delicious with grilled foods.